In an attempt to make it easier for researchers to commercialize their work, officials at Cornell University’s New York City campus are reconsidering how they make money off intellectual property. Instead of going through a laborious revenue-sharing negotiation with researchers who believe they have a valuable idea, an institute at Cornell Tech is going to let a set of postdocs keep exclusive license to their IP and take a fixed dollar amount of equity if the researchers create a spinoff company. Officials believe this simple deal will cut through red tape that discourages both inventors and investors from working with academic software developers. The institution’s experiment comes at a time of much debate about how universities take new technologies from collegiate laboratories to the commercial marketplace. The Joan and Irwin Jacobs Technion-Cornell Innovation Institute — a joint nonprofit created by Cornell and Technion, an Israeli-based technology institute, and temporarily housed in Google’s Manhattan office — is modeling its role after that of angel investors, which typically invest up to $200,000 in companies just getting off the ground. The institute is considering postdocs’ salary and time on campus as an angel investment worth $150,000. If the postdoc decides to create a spinoff, that $150,000 would be converted to equity in the resulting startup company — roughly 5 percent for a startup that got a few million dollars in initial funding. But unlike other universities that ask for equity, the institute’s stake would automatically shrink as new investors put in money, said the institute’s director, Adam Shwartz. He said universities should realize they are not good at running software startups. “That’s one thing all universities want — they want control, they want to control the decisions you make,” Shwartz said. This discourages outside investment because universities want board seats and a fixed percentage of ownership, he said. That fixed percentage can turn away large venture capitalists who don’t want to pour in a bunch of money and fail to gain a corresponding ownership stake. If an institute startup makes it big, then the institute could miss out on money it would have made using typical IP contracts, but 5 percent of a few startups is better than 30 percent of no startups, Shwartz said. He said universities are too worried about missing out on the next Google. The plan applies only to a special software-related program that will involve just six postdocs a year, though Shwartz said if the investment model works, it could be adopted by Cornell and the Technion. 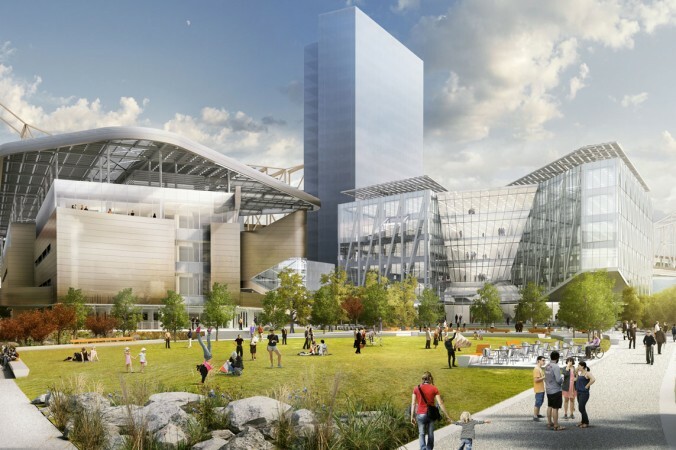 Cornell Tech is a special campus that, with the backing of former New York City Mayor Michael Bloomberg, is designed to increase high-tech innovation in the city. It does not open until 2017. The Jacobs Institute, which is associated with Cornell Tech and is temporarily operating inside Google’s building, will enroll its first class of about a dozen graduate students this fall. The campus’s dean, Daniel Huttenlocher, said Cornell Tech is looking at a series of new intellectual property models besides the angel investor plan. He said software, in particular, is a different ballgame from “molecules,” which he said most university technology transfer processes are designed to commercialize. “The idea is to make it as easy possible for these postdocs in fields related to technology to develop at the university,” he said. Typically, academics — faculty, graduate students and postdocs — get about 30 percent of the profit that their intellectual property makes. But they often don’t have much control over what happens to their ideas. Shwartz said the process can frustrate inventors and cause them to stop trying to commercialize inventions or to leave an institution and try not to get caught monetizing something that could belong to the university. He said universities that lose some share of their IP revenue may be able to make it up in philanthropic donations from alumni who didn’t have to deal with the headaches of the current IP scheme. Jane Muir, the president of the Association of University Technology Managers and director of the technology transfer program at the University of Florida, said the Cornell Tech-based program sounds relatively new in how it combines various elements that other universities are using to spur commercialization. She said board membership and the potential for conflicts have generated a lot of discussions. Cary Nelson, immediate past president of the American Association of University Professors and a professor of English at the University of Illinois at Urbana-Champaign, said universities that do take equity can risk succumbing to perverse incentives, like failing to admit graduate students who are not interested in working on an idea the university is investing in. introduced a new program that will allow postdoc graduates to open their business by using a grant in the program as an investment. The Runway Program was sponsored by Dr. Irwin Mark Jacobs, Founding Chairman and CEO Emeritus of Qualcomm, and his wife Joan Klein Jacobs who established the Jacobs Institute in 2013 with a donation of $133 million. The Runway Program will allow six postdocs at the PhD level to advance their research and launch new ventures with the Jacobs Institute-funded Runway Award, which serves an investment in the development of the technology, “much like an angel investor’s cash investment might,” says the press release. “The Runway Program takes its name from the fact that, unlike the now popular launchpad-like accelerator programs, which are generally focused on short-term market risk and customer development with proven technologies, new ventures based on deep technology carry different risks and need a longer time frame,” said Prof. de Haan, who will be leading the one year program. The Cornell Tech’s 12-acre Roosevelt Island campus is under construction with the first phase opening in 2017. The completed campus will house 2,000 graduate students and will include 2 million square feet of academic, residential, and corporate research and development space. “Uzi de Haan plays a pivotal role in entrepreneurship at the Technion, whose graduates are among the most successful in creating value through innovation,” said Adam Shwartz, Director of the Jacobs Institute, in the same release.